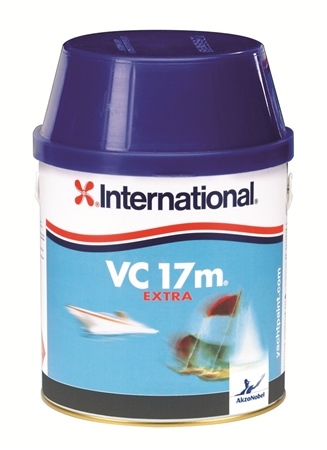 International VC 17m Extra Antifoul 10 times thinner than traditional antifouling, thus avoiding a build up. Long favoured by the more adventurous yachtsman this formula is suitable for both cruising and racing boats. Contains Copper(metal). Colours: Graphite only. I have not yet tried it in the water - but easy to apply, good coverage, great finish - I have very high hopes!